I wisht to know why my lady Moll has been troubled of late. I heard nowt from the common folks who serve me and keep this house for my lord. So I hied me to Linkin’s house, because the London lawyer who was once his master oft visits and brings gossips’ talk. Linkin was in the yard with Nero. They was rejoicing in the victory of our heroick Earl of Essicks. He has sacked the port of Cadiz! I’ll tell more of this when next I write my diurnal. 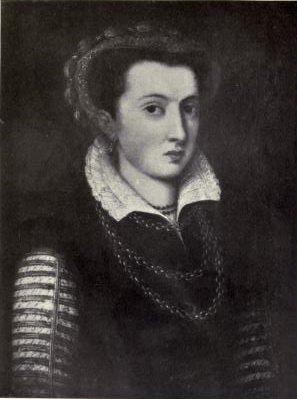 Lady Moll – Mary Arundell, wife of Thomas Arundell and sister to the Earl of Southampton. First, I’ll set down what I learnt of the sorrows of my lady Moll. He told me Thoms lacked employment. So his father gave him money and horses that he might aid the holy roaming [roman] Emperor in his fight against the Turks. Queen Puss [Bess] permitted Thoms to go, even though she loves the Turks and will do nowt against them. Holy Roman Emperor Rudolf II (1552-1612) – a portrail by Joseph Heintz the Elder, via Wikimedia Commons. Thoms fought well in Hungrie [Hungary], and proved his valour. The Emperor honoured him by making him an Earl. Then Thoms sayt he would come home. So his father writ to old Lord Purrlie’s wittie [clever] boy who has a good place in Her Majestie’s household. Thoms’ father begged that he be offered a position in the Queen’s service to keep him oversea. He sayt the reason Thoms wisht to return was because his wife arrkst him to. But he (Thoms’ father) feared some would say his son lacked the courage for more fighting, or that he’d gone to the wars onlie to gull his father out of all his horses and eleven hundred pounds. We believed Thoms’ father thought he were well rid of him. That letter did no good. 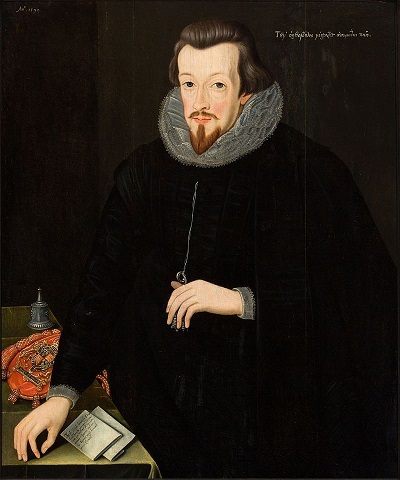 Old Lord Purrlie’s clever boy, better known as Sir Robert Cecil (1563-1612). This portrait is probably a copy of one by John de Critz the Elder. Via Wikimedia Commons. Thoms took ship for home, and was shipwracked. “Had he a tail, he’d have lost that too,” added Nero. The Queen sent Thoms to prison. And writ to the Emperor to reprove him, but she spake of shepherds and their sheep. Not of dogs and collars. Lord Purrlie told Thoms that none can serve two masters. And that it’s the custom in our country for stranger [foreign] Earls to be granted, in courtesie, a higher place than our own Earls. Thoms being but a gentleman, that’s not fitting. We cats know well how to serve more than one master or mistress. But on the matter of place, I believe old Purrlie spake true. I would not like to see Thoms sat higher than our Earl. Nor would I wish to see another cat in a higher place than mine. Next, some folk sayt that Thoms has been consorting with the Spanish and other wicked folks. Which he denied, protesting his loyalty and the friendship he believes the Emperor has for Her Majestie. I know ’tis wicked to take pleasure in the misfortunes of others. And I do believe that Thoms loves the collar of an Earl Imperial as I love a good gravy. But the tale of his woes made us merrie. Then Linkin sayt that Thoms’ fool father has offered lodgings to Thoms and all his family, save his wife. Her, his father will not have in his house. Poor Lady Moll. 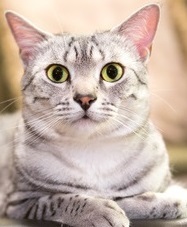 ’Tis a sorry thing to have no place in a household, as we cats know. 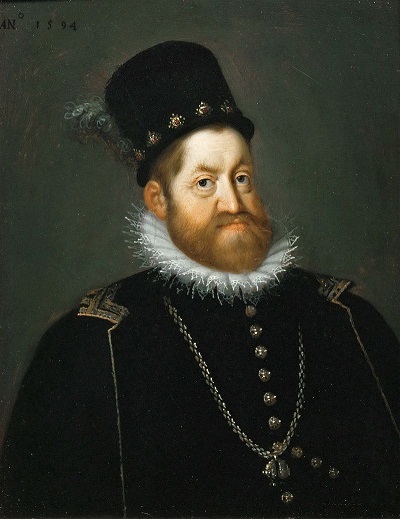 Rudolf II was an enthusiastic patron of the arts. This is a picture of him as Vertumnus, a Roman god of the seasons. 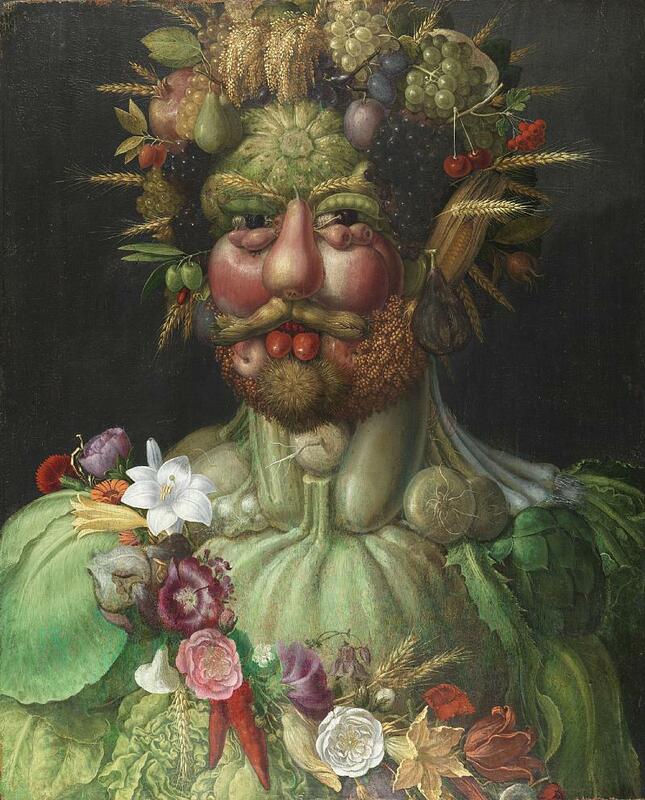 By Guiseppe Arcimboldo (c.1526-1593). Via Wikimedia Commons. Moll/Mary’s husband Thomas Arundell (c.1560-1639) was probably too overtly Catholic to find favour with Queen Elizabeth. Mary and he appear to have lived in various of the young Earl’s properties, e.g. Itchel Manor in Hampshire, and Southampton House in London where his father Sir Matthew Arundell described him disapprovingly as “solitary and studious”. In 1595 Thomas was permitted to join Rudolf II’s campaign against “the Turks”. Click on this link and scroll down to the map to see the size of the Ottoman Empire in the 16th century. Queen Elizabeth herself maintained amiable diplomatic relations with Turkey, a potential ally against Spain and a lucrative trading partner for England. Her saying “My dogs wear my collars” is believed to relate to Sir Nicholas Clifford, who accepted an honour from Henri IV of France as a reward for military service. Another of Elizabeth’s courtiers, Sir Anthony Sherley/Shirley, did the same. Elizabeth’s problem was that acceptance of these honours meant an oath of loyalty to Henri. In vain did Thomas Arundell protest that being created an Earl Imperial (a Count of the Holy Roman Empire) involved no oath. His letters to Sir Robert Cecil are preserved in the Calendar of the Manuscripts of the Marquis of Salisbury (“the Cecil papers”) Vol VI, available on line.